actually happened to them as he included multiple members of our meeting in his array of magic. "All I can say is "incredible"! Matias was a delightful interloper during my husband's birthday party. He mingled among the guests and performed for small groups during the cocktail hour. His feats of magic and mentalism are amazing and beyond comprehension. I would highly recommend Matias, both for his amazing skills and for his charming and engaging personality." "Matias was great! Everyone was really impressed!" "MATIAS WAS INCREDIBLE!! extremely thorough and made our proposal day extremely special! Wouldn’t pick anyone else in the world. 12/10!!!" "Matias was awesome! Everyone loves his magic and he’s so friendly and a pleasure to work with. High recommend to add a fun element to any party." "Everything was excellent and as described beforehand. This was a mystery event for our development and everyone there was well entertained. They have not stopped talking about it, and thanking me for arranging it. The best part was the amount of audience participation! We will definitely recommend Matais and hope to see another of his performances in the future." "Thank you so much for your terrific show on Saturday!" "Magician Matias was very pleasant to work with, the crowd enjoyed him. He wasn't looking at the clock the whole time, he was there in full for our party. " "Excellent performer! Matias' magic was fresh and impressive. His tongue-in-cheek humor throughout his performance made his act more accessible and fun for all. I would definitely recommend him for your event!" "Great show! Everyone really loved it!" "Matias, Thank you for such a wonderful time. Prattville employees are still saying how much fun it was. You really added so much to the magic of Christmas. Blessings upon blessings for your time and effort. " "Matias, thank you for helping us entertain our clients. Everybody enjoyed your show. Thank you for a great night!" "Absolutely terrific experience Matias did an excellent job entertaining our group. Everyone was thoroughly impressed by his performance and professionalism. It was a fun show and a great change of pace for us! " "Matias was funny, entertaining and very appropriate for our corporate meeting. He surprised us with his talent! All the employees loved his show!!" "Matias entertained us at a work party on Friday. He was fantastic! He's been the topic of conversation at work today. Our colleagues who didn't go to the party missed a great time. I would recommend him for your next gathering large or small!" "It was a fantastic show!" 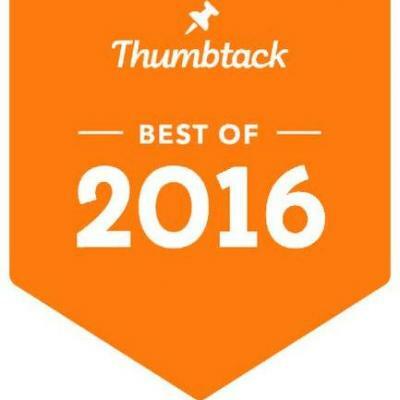 "Customers and clients really gave great feedback on Matias. He was engaging, funny, and gave wow moments to his audience. Will highly recommend him for corporate events and will use him in any of my upcoming future corporate events. Good job Matias!" "Matias is amazing! Magical, engaging, and a true professional. Whenever he performs, his passion, dedication and sense of humor shine through. He not only leaves kids and adults amazed through his performances (I?ve witnessed it again and again! ), but he has also taken the time to mentor less experienced magicians through the Yale Magic Society... just one example of the kind, giving attitude that characterizes Matias Letelier! His magic is family friendly, full of comedy, and excellent overall ? I would recommend Matias 100% for your next event!" "Matias arrived on time, was extremely flexible and easily adapted to environment and mixed group of college students. Magic tricks were very mind baffling, Matias had the crowd of students in shock. Very great experience! Definitely recommend." "Fun! Thank you so much!" "The show is entertaining and full of laughs. In fact booked three shows already!" 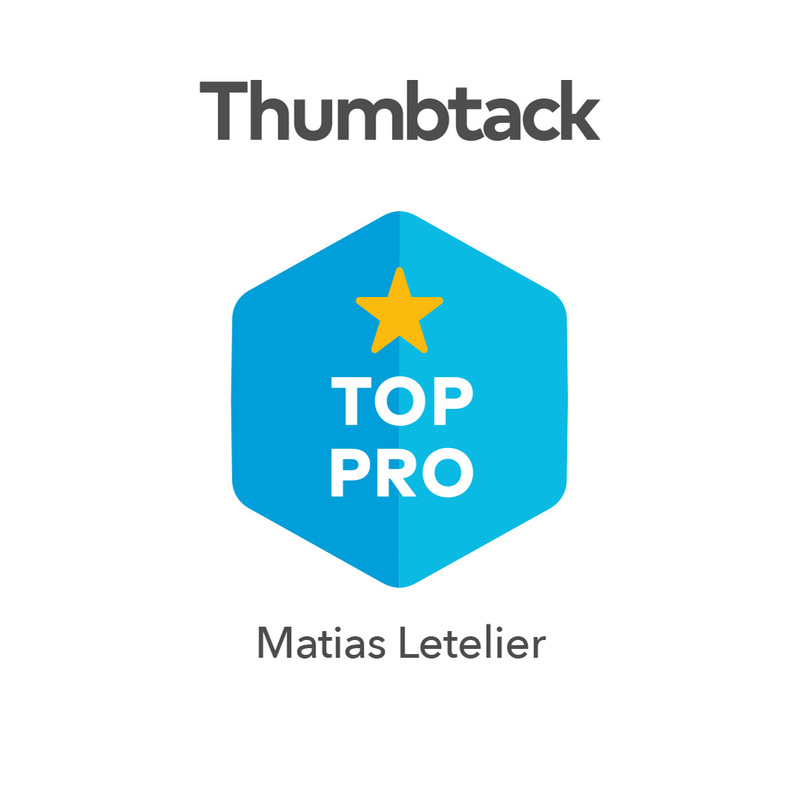 "Matias was very professional and IMPRESSIVE! His show blew many people away and he had quite a following- he really had the crowd going! The event was hosted by Harvard graduate students and a few of our classmates brought kids to the party. All ages remained very impressed with the performance and we look forward to working with Matias again in the future." "Your performance at our Holiday Party was amazing! Everyone that attended had wonderful feedback and felt the magic performed was a great presentation. We had a really good time!" "Matias was great! Very personable and was able to think "outside of the box" by putting balloon characters at the entrance of our building to attract people inside. Would definitely recommend! " "Excellent. Dynamics were appropriate for our group. We achieved the main objective of integration and participation. Everyone expressed it was a good show. Congratulations"
"Can say enough great things about Matias! Matias is beyond talented as a magician, but that's only part of the experience. He's a class act (and I've seen many acts in various venues over the years), a pleasure to deal with, and people like him as soon as he walks into the room. To me, that's money well spent. Thank you, Matias!" "We all enjoyed your marvelous talents and the productive efforts in helping us sell our great products. You are so much fun and I wish you could be here every day at the office so we can enjoy magic all the time. Thanks again for everything! It was a pleasure to work with you, meet you and enjoy your talents." "He was great, professional and a pleasure to be around. Thanks "
"Matias was wonderful. Unfortunately our crowd started to clear out before he arrived (bad timing on our end- timing got messed up because of the Mayor's schedule) so some missed it- but those who did experience his magic were excited and engaged. it was a perfect addition to our event. " "Matias was amazing! His ability to integrate his tricks with our offering was very important to us. He brought people into the booth so our sales reps could talk to them about our products. We even had competitors trying to hire him away from us! Hire him for Trade Shows, Hire him for Corporate Events...Just HIRE HIM!" "Matias, I wanted to thank you for the show on Friday, it was very good and people were extremely impressed with the tricks. Any other event that requires magic we won't hesitate to contact you and also recommend you." "Thank you, Matias! Looks like everyone enjoyed you very much! I did get a lot of good responses from everyone! Thank you! We will definitely work with you again for future events!" "What do you get when you fill a room with highly technical people there to learn and be introduced to the latest developments and industry innovation and add Magician Matias? You get of course Magic! I hired Matias for a 2nd time to entertain at our Annual Conference and his brand of strolling magic entertained attendees in small groups and virtually everybody saw a small bit of his talent. The "Grand Finale" was audience participation and everybody thoroughly enjoyed the performance. The volunteers were wary at 1st but warmed up quickly and became a big part of the show. I would highly recommend hiring Magician Matias for any event, corporate or otherwise." "Thank you again for coming out for the Lead Awareness Picnic last month! You were a great success and everybody loved your show!" "Matias, thank you for a great show. I really enjoyed watching and hearing everybody laugh. It was very fun! Thank you so much for a great night!" "Very engaging with the audience." "It was our pleasure to have you! Thank you again for such a great time and I wish you the very best on your continued performances!!" "I liked the show and yesterday we went out for a drink and everybody talked about your magic and were surprised trying to discover some of the magic tricks that amazed us, especially the photo trick"
"Chelsea Square Apartments celebrates every year with a summer BBQ. We brought Magicial Matias back for a second time. The residents are mostly Latino. Old and young alike marvel at his magic. He is able to approach the most distant and bring them in. His mix of English and Spanish seals the deal! Highly recommended!" "Matias, was a gift for my party. Wow, I was so happy. T. Y. My review is that every Party organizer, or party holder should totally get hold of Matias to bring him to their event. It was my honor to have him at mine. Thank You Matias, God bless"
"Thank you too!! Your performance was awesome!!" "Fun and worked the crowd well." "They really liked you a lot and we will definitely be using you again." "He was great. This was a close up magic show and he mingled well with the crowd. Everyone has called asking for his card as they want him for their parties. He arrived early and stayed a little longer. I would highly recommend him." "Matias is the consummate professional making certain that all are entertained. A fun show for all ages." "Matias Letelier performed for my town's annual Halloween party. He performed tricks for children aged (approximately) 3-10 years old. He was wonderful with the children mixing humor and magic. His magic amazed the children and the parents as well. I would definitely recommend him!" "Super friendly and super talented. We had so much fun seeing him perform at BooFest! My kids were completely mesmorized. They LOVED him!" "The Junior Women's Club of Verona hosted Matias for a Halloween event in Verona. He was amazing! He engaged the children, which varied widely in age, as well as the adults. Matias was fun, professional, and a great addition to the event. I would HIGHLY recommend him for any function. I think the adults were even more impressed than the kids! He went around the entire event and his tricks were so captivating that they would draw a crowd. Matias is a true professional and added a very special element to our event." "A pleasure to work with! I was hired to provide ambient circus entertainment at a corporate event, and the request was made to find a magician/balloon-twister. I found Matias, and he was never anything less than professional, talented, patient with the kids (of which there were 50+), and a pleasure to work with. I could not recommend him more, as both a colleague and fellow entertainer!" "What a fantastic time we had with Matias! Everyone loved him! We even found him inspirational! He made our Halloween party quite memorable!" "AWESOME!!! Magician Matias entertains both young and old alike. He engaged the entire company into his show and kept everyone spellbound. He was pleasant and funny and a great time was had by all. We will definitely recommend him to our Customers and friends!" "Great Job. Kids loved the show. He was very entertaining." "Great Experience! Matias was extremely good with all of the children aging in all different ranges. Very professional and enjoyable for everyone. I would highly recommend Magician Matias for any get together." "Magician Matias was a great partner in creating a fun, engaging, and memorable event for our Company. From the start he made it clear that the focus would be on our Company and not on himself and that he wanted to help make the evening a success. He definitely delivered. He was easy to work with, well-organized, creative in utilizing some items in his magic that had our Company's logo on them, followed through on his commitments to us, and, whether he was doing walk-around magic or the "parlor show" for us, he did amaze our employees, some of whom are still trying to figure out how he did what he did. I highly recommend him and would definitely hire him again." "Matias came to our 10th annual blood drive and his station was the most popular one. Not only did he make some great balloon twisting but for some of our older kids he even showed them about some magic tricks. We love Matias and his invited to our next years 11th celebration. " "I've heard from several employees that they really enjoyed the show. I loved the book on fire, the red light, the logo, the egg, the water, the levitation and the guillotine. I thought it was a nice gesture on your part to give the audience participants the cards. Music was good...the employees didn't want you to leave. Overall, I think you did a fantastic job...THANK YOU Again, Matias"
"Great entertainment for the Company Christmas Party! Magician Matias entertained both kids and adults at our company holiday party. Kids loved him and even adults had a great time! Very professional and really knows how to engage with the audience. Thank you Magician Matias!" "Matias delighted young and old. Matias arrived promptly, setup with ease and accurately assessed the type of audience for the evening. At this family style cookout, Matias bridged the generations by astounding youngsters with tricks and balloon art and engaging the adults with clever magic tricks accompanied by friendly conversation. Reviews from all attending were superb!" "Matias arrived on time, set up an amazing display, grabbed the attention of all the children AND the adults. Matias performed an excellent show geared to kids, but with enough humor to tickle the adults in the crowd"
"Our second event with Matias. He was magical and amazing. He was able to entertain adults and keep the crowd happy. We are delighted with our new magician. Thanks again." "Great job! Kept the children involved and entertained throughout the show! Would definately reccomend." "Matias really had the kids captivated. He was funny and kind and got the audience involved. He was terrific." "I enjoyed his ability to involve the audience in almost all his acts. The people at the event really seemed to enjoy watching their friends participate. Overall the experience was light hearted, fun, and enjoyable. Despite the limitations of the room size, I think he covered the area well and performed as many tricks as he could given the time with great efficiency and a friendly attitude." "I loved the whole experience---as did all the kids and the parents. The interaction with the kids when you WERE talking to them was wonderful!" "Our group really enjoyed Magician Matias. He was very entertaining and professional, and his tricks were amazing! He involved audience members, which added to the fun. I wouldn't hesistate ti recommend him to any group of all ages." "Thanks again for a fantastic show on Wednesday. Everyone had only great things to say about you and the performance! :)"
"I looked at his website and other links which was very satisfying and looked very professional then other magician. Matias was very cooperative and interactive with the people. The show was so much fun for both kids and adults. Matias had very much control over crowd. I would recommend him for any occasion"
"We had Matias perform at our recent corporate Holiday party and he was wonderful. He was truly a pleasure to work with both in the planning stages and at the event. All of our guests commented on what a great job he did and how much they enjoyed the show. We had Matias do an hour of strolling magic at the beginning of the party and a half hour show a little later in the night. Everything went perfectly! Truly a professional and I would highly recommend him to anyone!" "He had good reviews. I liked his very very professional approach! Was very engaging , kids were mesmerized !" "Matias did a great job entertaining an audience at our holiday party. Involved audience members, and worked hand in hand with us before the show to ensure an excellent performance. Very well done!" "We found Matais on line and took a chance beased upon the content of the website. We were not disappointed. He held the attention on the group including teh kids and the adults. Excellent.... I would recommend him for other events. Thanks for the great show!" "Very easy to work with Matias; took control of the event, had all the guests engaged - he was great"
"We have had 5 magicians over the last 6 years (one twice) for a block party / BBQ. Some were very good, one not good and Magician Matias was the best. The group of about 70 people who attended were a mix of adults and youth, mostly Spanish speaking. Matias related to all, and was able to give a bilingual performance. He stayed more time than contracted to continue to entertain the youth who couldn't get enough. He was a pleasure to work with and is highly recommended. " "The children enjoyed you so much at Christmas and asked if you could return for our Easter Party!" "Truly the best show ever, exceeded our expectations! We had a party at our apartment community on Tuesday October 30th 2012. Magician Matias was AMAZING! Our party was a huge success because of his performance and interaction with everyone. Magician Matias had a stunning performance that still has all of our residents talking about the event. We are so happy that we found Magician Matias and would highly recommend him to host your party. I am looking forward to having another event soon, so that I can see him perform again." "Truly the best show ever, exceeded our expectations!" "Matias attended our National Night Out Event at Adrus Field in Yonkers, NY. The children were very happy with the balloons he made for them. Some used multiple balloons and the children were running around show them to everywhere there. We hope he reserves August 3 for the event next year." "Great ease in booking, he was willing to work with me around price given our nonprofit status. He was flexible. Good communication ahead of the event (it was booked a few months out). Matias did a great job connecting with the audience, working within the framework of our fair. Kids and adults seemed to really like his magic and his balloon art. Great choice!!!!" "Matais performed at our City of Boston sponsored Community Resource BBQ in Roxbury, MA on 6/29. This was our first time working with him. He arrived on time, was very professional and friendly with the children and community members. He started off with a "strolling magic trick" show, walking through the crowd, engaging young and old in conversation and tricks. He ended his show with a finale. There were about 50 children sitting around him in the grass, hanging on his every word. He kept them engaged and focused on the show. I heard them cheer loudly when he mystified them with some slight of hand and then when he pulled the bunny out, they went wild. I recommend him highly. Thanks." "He was great. The kids loved him as well as the parents. Would absolutely use him again as well as recommend him! " "It was a lot of fun and the kids enjoy it a lot! Out of the 18 years running family day, with a different magician each year, you had by far the best show!" "Absolutely, without a doubt, the best investment ever! Extremely professional, top notch performance. Both the kids and the kids at heart were totally impressed. The only improvement I could think of would be to have more money in our budget to be able to expand upon our time together and see MORE! Would highly recommend to anyone." "Matias performed at the pre-show at our big fashion show at Fashion Institute of Technology in NYC. He did a terrific job at engaging our audience which included industry executives, faculty, students and even children. We all enjoyed his energy, wit and awesome magic. Matias was professional, reliable and delightful to work with"
"He was on time, professional, and put on a very entertaining show with a lot of audience interaction. He was extremely easy to work with and was able to cater to our time schedule and work with our program. Was very pleased all aspects." "He is the best, I will definitely recommend him for any event, he is so fun to see, and so professional. excellent"
"From 501(c)(3) non-profit: The John Lennon Educational Tour Bus On October 6th, 2015, Yoko Ono and The John Lennon Educational Tour Bus hosted a special event called Imagine Peace in Central Park's beautiful East Meadow. Our aim was to create the largest human peace sign ever in honor of John Lennon's 75th birthday. To do so, we asked thousands of people to stand in one spot for a few hours to ensure the sign's formation was perfect. In the process of planning our event, we decided to hire some entertainment to mingle within the crowd and promote an atmosphere of happiness and peace. We are very fortunate to have hired Matias because he did just that! He could be seen creating smiles and most certainly memories tirelessly throughout the day. The Lennon Bus is very excited to have had Matias as part of our team, and believe fully he will add just as much joy and excitement to any event he is a part of as he did to Imagine Peace." "Absolutely amazing magician. We had Magician Matias come to our corporate party, we looked up many magicians before booking and were very pleased to pick Matias. For one he is very easy to deal with, on booking and scheduling. Then he was early for the event, did an amazing show with walk around magic and a nice show. Everybody at our company was buzzing, really made it an incredible event. You will be very happy if you book him!!" "We wanted to add a special touch to our holiday party and we are very glad we chose Magician Matias, after reviewing many other magicians. First of all he has a great personality and knows how to deliver a very fun show, that at the same time fascinated everybody. He is extremely talented and very highly recommended. We were extremely satisfied with his performance. Other important positive comments, he was there early, had a full set up, very professional, and was always in touch. Very highly recommended!!" For Your Next Corporate or Private Event?